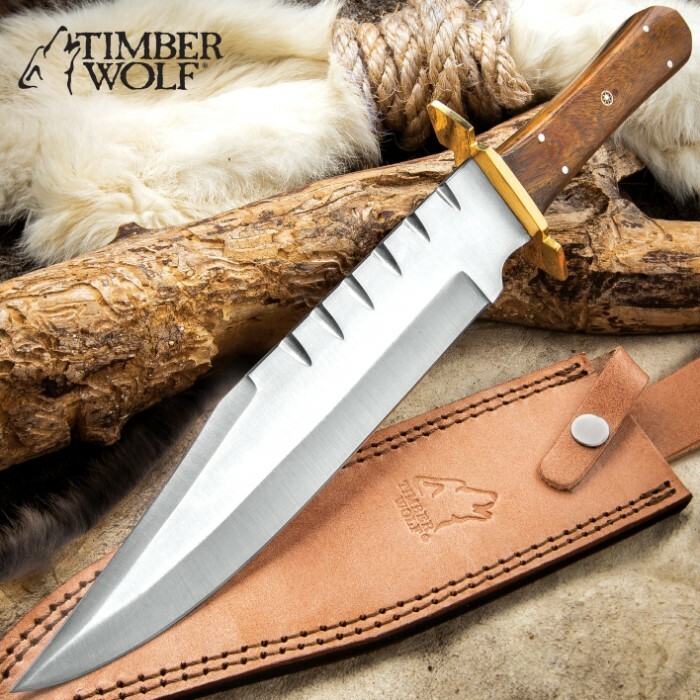 Ready to face the wild frontier, our Timber Wolf Daniel Boone Knife is built for hard use and getting the job done whether you’re hunting or hiking. 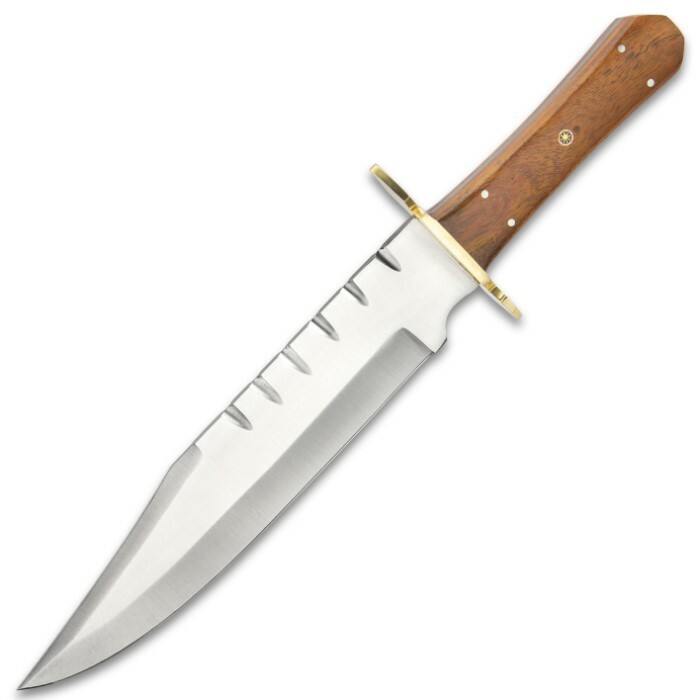 The fixed blade knife has a keenly sharp, full-tang 9 3/4” stainless steel, clip point blade with heavy notching along the spine and a polished finish. 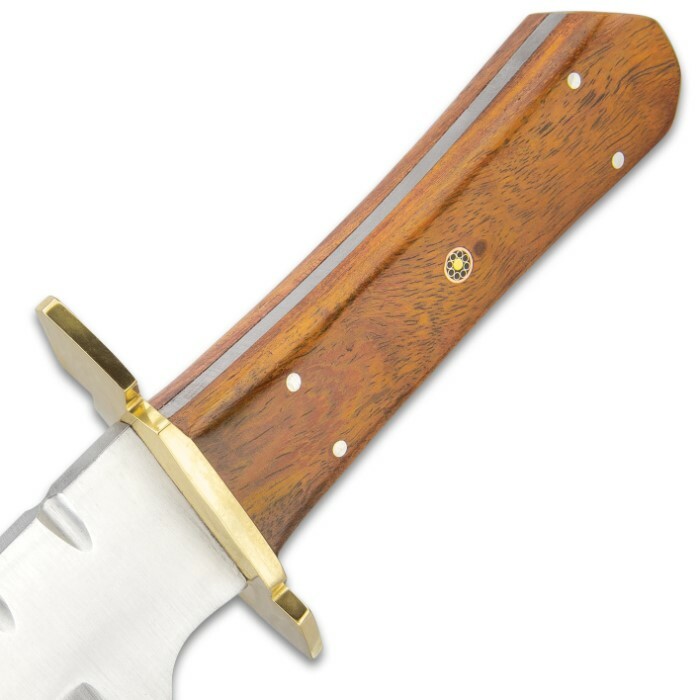 The wooden handle scales are securely attached to the tang with stainless steel pins and have a rosette accent. 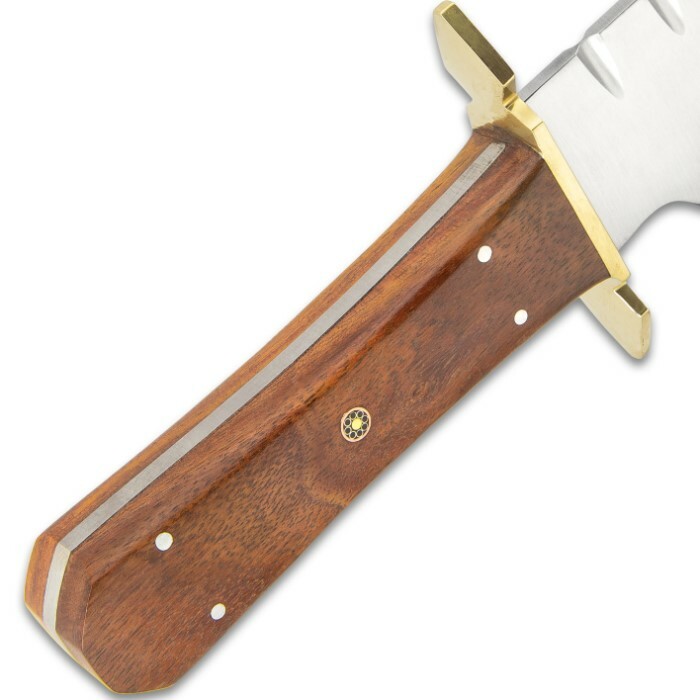 The brass handguard is hefty and has a diamond-shape design. 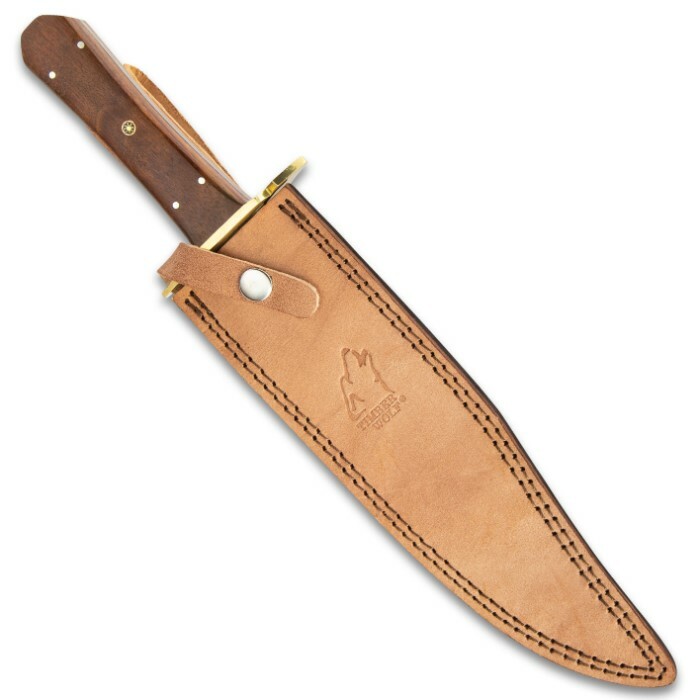 The 14 3/4” overall fixed blade knife can be carried securely in its premium leather belt sheath with a snap closure.